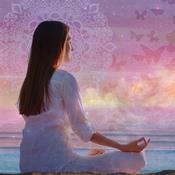 Intuitive energy healing to remove blocks and balance and restore energy. Can be applied to any area of concern. As an empath/intuitive, I have been doing professional psychic energy readings for over 15 years. Approximately six years in, I was led to expand my offering to include intuitive energy healing. It wasn't really a conscious decision that came from an intellectual thought to become a healer; rather, it was an organic expansion of what I was already doing that was guided from within. After the fact, I became a certified Reiki Master and studied many different energy healing modalities including Access Bars®, EFT (emotional freedom technique), Quantum Entrainment and the like; but even with this external knowledge my approach to energetic healing has remained the same---completely intuitive, organic and personalized and as such doesn't follow any specific tradition or modality set forth by another. I'm Tresa, your friendly neighborhood empath/intuitive/energy practitioner. If you're looking for the stereotypical gypsy fortune teller of tv and movies, I'm afraid you've come to the wrong place; I'm just a regular person that happens to perceive information and work with energy in an "extra-sensory" way. Approximately six years into doing professional readings I expanded my offering to include intuitive energy healing sessions. It wasn't really a conscious decision that came from an intellectual thought to become a healer; rather, it was an organic expansion of what I was already doing that was guided from within/above. Intuitive energy healing sessions work to remove blocks and re-balance and restore a person on an energetic level. They can help with virtually any issue one is facing whether physical, emotional, financial or those dealing with relationships. Please DO NOT CALL for a session, as I do these remotely in a deep state of meditation. Each session takes approximately one hour and once completed I send a detailed follow-up email sharing what I saw, felt and any guidance that was given. Each session is $200 paid through Keen mail. Please note that due to the nature of this platform I am unable to give refunds once payment has been made. Please also note that I am not a physical or mental health professional, and while many people have reported positive results from my energy sessions, I cannot guarantee what type of results you may have personally. If you are taking medications and/or are under the care of a physical or mental health care professional, you should continue to do so unless your care giver instructs otherwise. If you are interested in scheduling an intuitive energy healing session, please email me with the concerns you would like to address to get started. Thank you for visiting my listing today, I look forward to assisting you on your journey. Heart Path has been a user of Keen since 2001. Getting Other advice from Heart Path through www.keen.com is safe, secure and confidential.